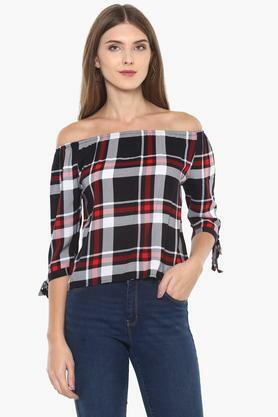 If simplicity is your style mantra, this top from Life will surely become your favourite in no time. 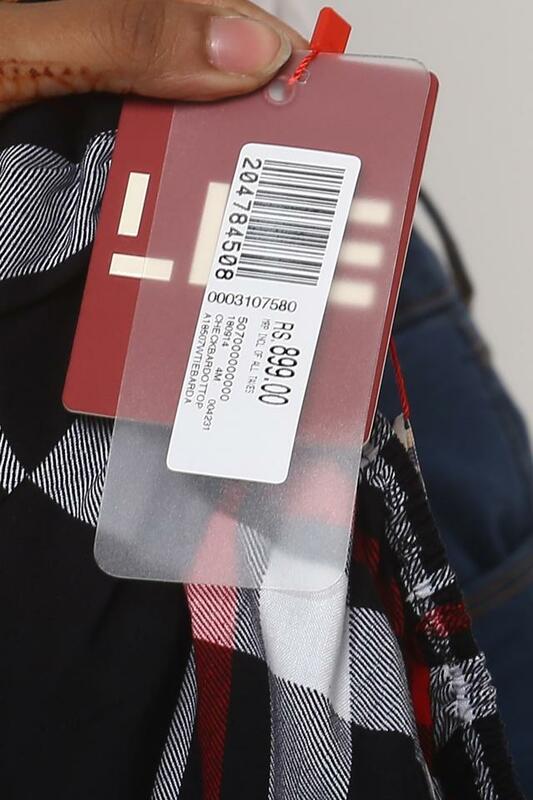 It features a check pattern that gives the attire an edge. 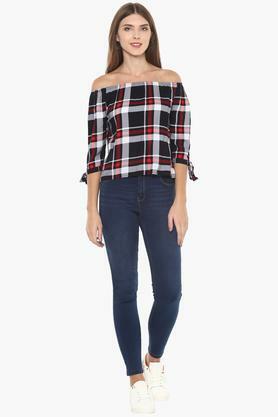 Besides, the off shoulder neck and three quarter sleeves further add to the overall appeal. Above all, it is made from fine quality fabric to ensure that you stay comfortable all day long. 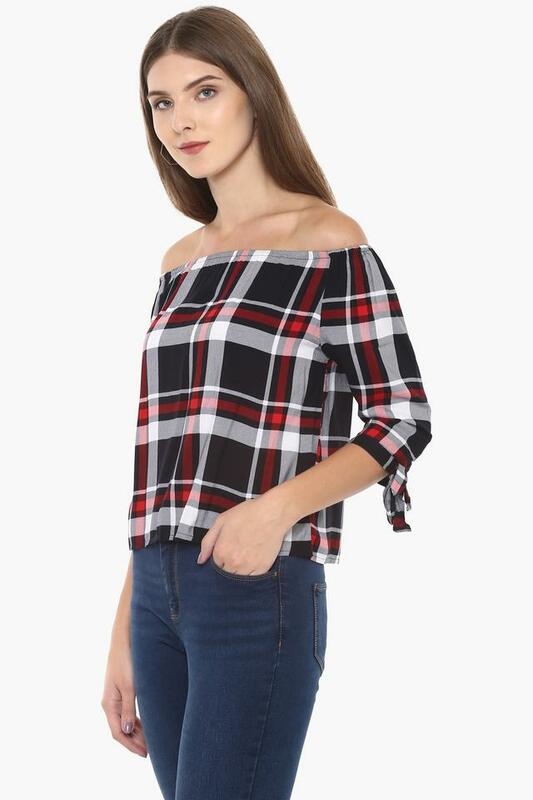 You will surely love the style of this top. 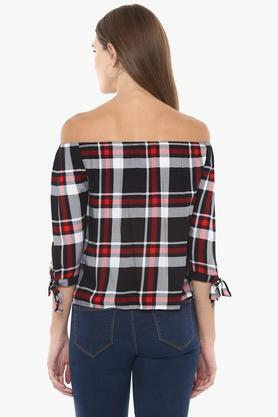 You can combine it with any pair of jeans or pencil pants along with flat sandals to look chic for any casual occasion.